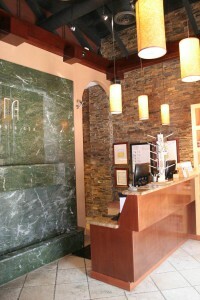 Enjoy a relaxing and peaceful experience in our expansive spa nested in the heart of Burbank. Our featured spa services include: Massage, Skin Care, Body Wraps, rA Baths and Waxing and we also offer a wide variety of health and beauty products from Eminence Organics. “rA Organic Spa is being ranked the Best Spa in Los Angeles” by USA Today’s 10 Best!